It is an ultimate acne-fighting face wash with Neem and Tea tree works together to cut through oil, dissolving dirt and impurities without overdrying or irritation. Skin is left clear and smooth. This mask keeps skin blemish free by quickly reducing breakouts with this maximum strength formula. The mask unclogs pores to unblock trapped dirt & oil. 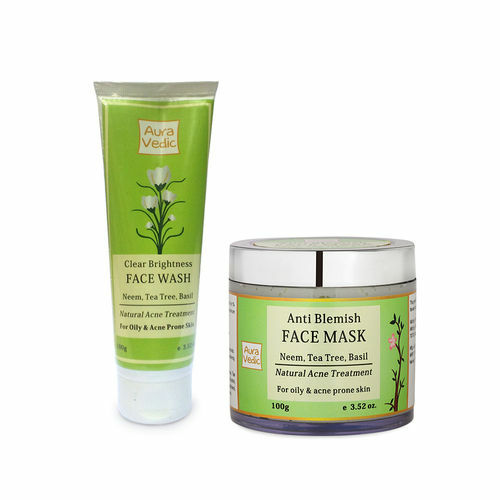 Skin is left free of acne & pimples while willow bark purifies pores to prevent further breakouts.